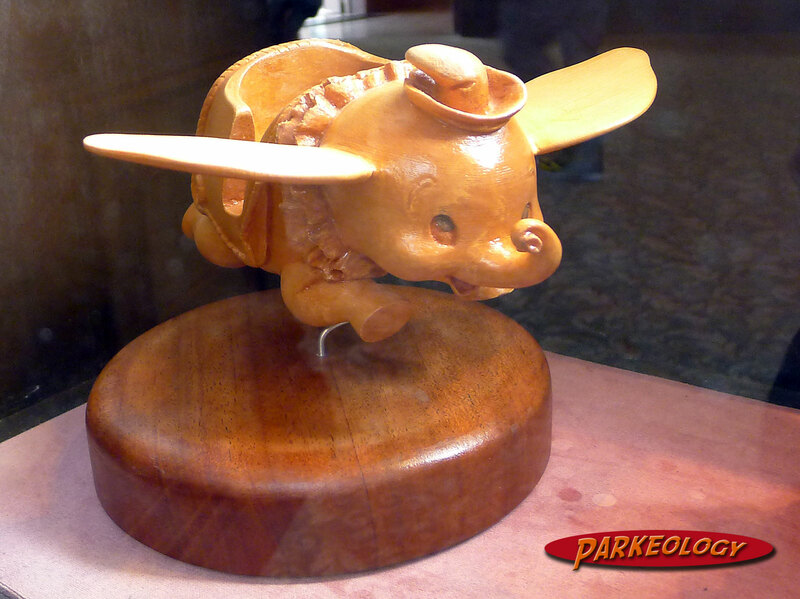 In 2011 shortly after the tsunami struck Japan and created an unprecedented series of tragic events we posted a tribute of sorts to the Tokyo Disney resort, you can read it here: http://www.parkeology.com/2011/03/so-story-goes.html. Though this Braille map is meant for those who cannot see it is really beautiful nonetheless. About a year ago (one year after the tsunami) we were back in Tokyo and were thrilled to find it every bit as wonderful as it has always been. Moreover the parks were running as if nothing had happened. The facilities were of course flawless, the cast members out in force and as dedicated as ever and perhaps most importantly the guests seemed to be carefree and having great fun. I imagine that after dealing with such difficulties having some fun is quite important. As a side note the crowds were extremely light. This may simply be because we visited at a good time of year that is considered the low season but there may be some residual impact on attendance still going on. 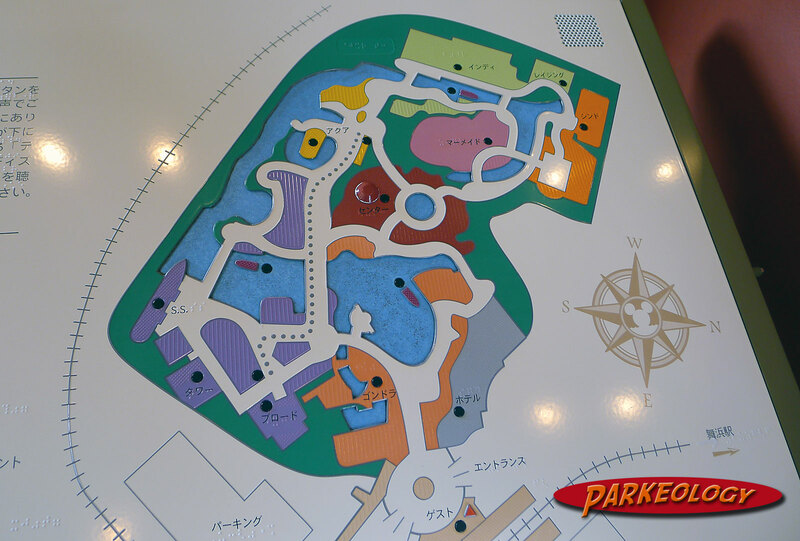 The Tokyo Disney Sea Braille map is nice and all, but not on par with the Tokyo Disneyland version. In that 2011 post we took a look at the “Story Cards” the parks have for hearing impaired gusts and occasionally confused foreigners (more here). 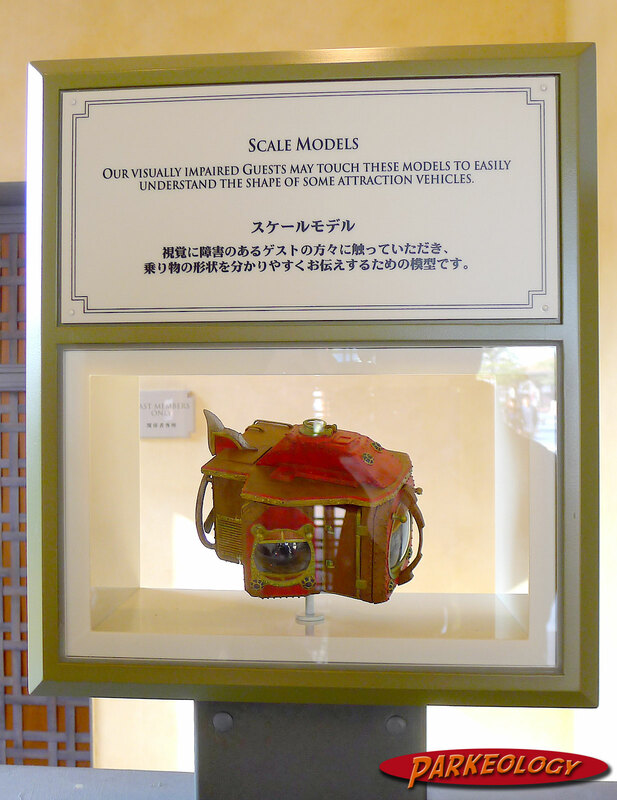 We also briefly touched on another interesting and unique service the Japanese offer guests, one that is again indicative of the care and respect they have for all guests; the scale models used to aid visually impaired guests. Those yellow paths are textured, you can feel them under your feet. Combined with audio cues they can guide sight impaired people throughout the entire city. 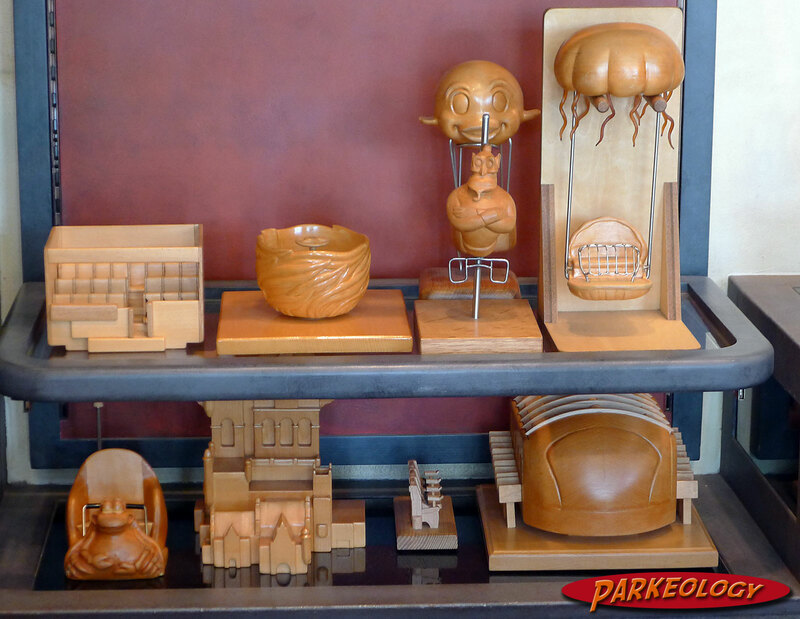 Today we are taking a closer look at these wonderful models available at guest services in both Tokyo Disneyland and Tokyo Disney Sea. 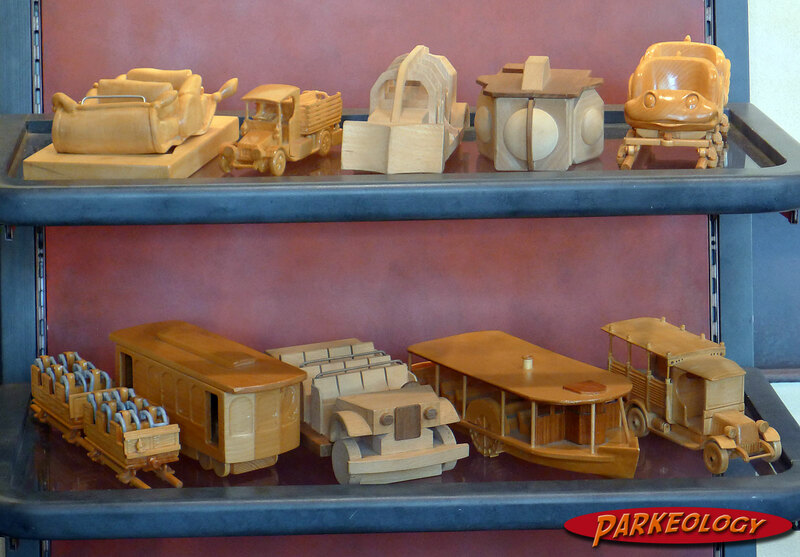 These are hand made wooden replicas of the various attraction ride vehicles as well as certain show buildings. Guests in need are allowed to touch and examine the models to gain an understanding of what they may not be able to see. I have never seen anything like this in another theme park or anywhere else I have ever visited. This one is not so much to be touched but to let folks know that they are available… of course if you cannot see this one it does not do much good. In fact Japan has many aids for people with different disabilities. One will find not only the standard Braille in elevators and so on but also audible beeps at cross sections altering people when the walk sign is on and tactile paving throughout most public streets and train stations that guide those without sight were to walk and warn them of intersections. 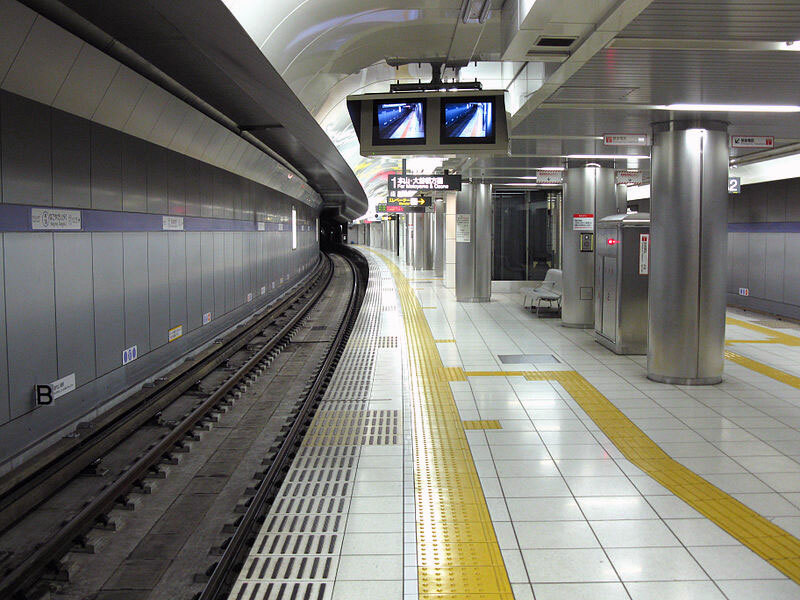 The tactile paving was invented in Japan in the 1960’s and is now ubiquitous throughout the country, not just at cross walks but throughout huge swaths of cities and public spaces. What the heck is that one on the bottom right? 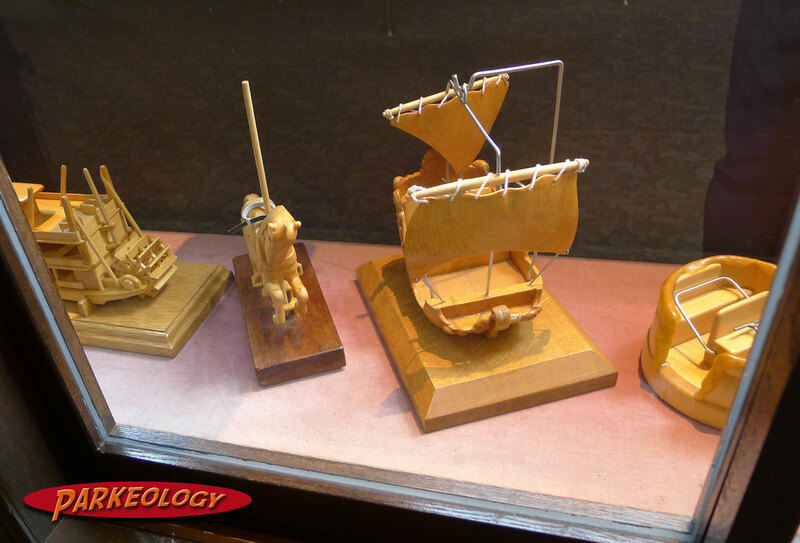 Atttractions big and small are represented in these Tokyo Disney Sea models. Even entire buildings in some cases. Despite this it is not as if Japan has a disproportionate population of those without sight. Throughout all my visits I have seen one visually impaired person, not actually at the parks but rather in down town Tokyo. The Japanese don’t do it because they have to, they do this because care is a part of the culture and that same idea extends to the Disney parks. If they only sold them I woudl buy a complete set… they are amazing. Sinbad boats on top and the Venetian Gondolas on bottom. 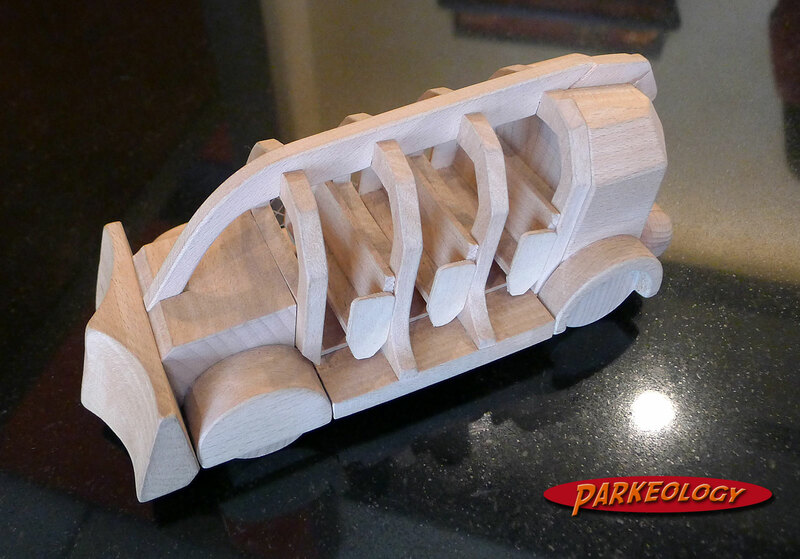 The Journey to the Center of the Earth vehicles are awesome even in plain wood. Some really cool things done for a nice reason. We may be getting interactive rubber bracelets that allow us to be tracked and marketed to but the Japanese get these… as they say it’s better than a poke in the eye… or in this case maybe because of a poke to the eye. 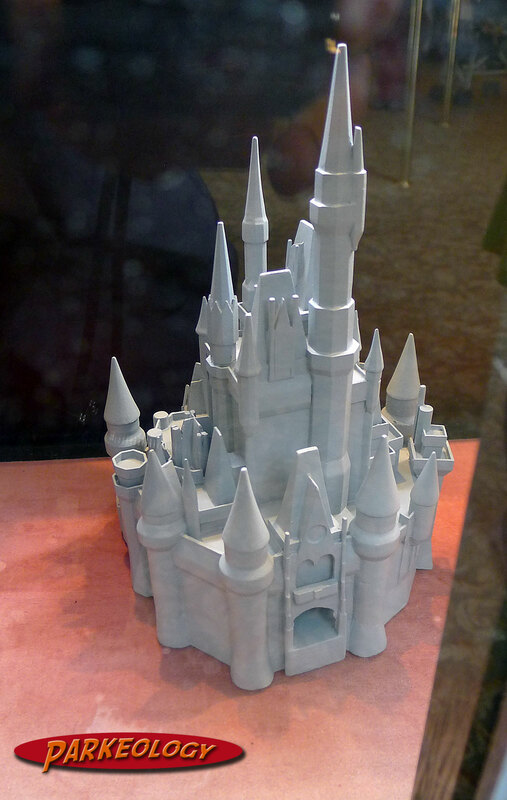 Tokyo Disneyland has them as well. 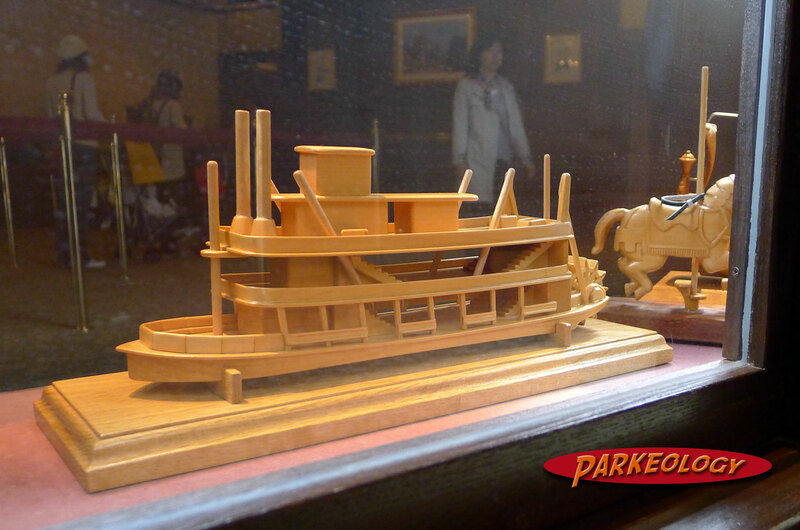 At Tokyo Disney Sea they have a fully painted model (a sub from Twenty Thousand Leagues Under the Sea) on display while the actual models meant for use are plain unpainted wood. 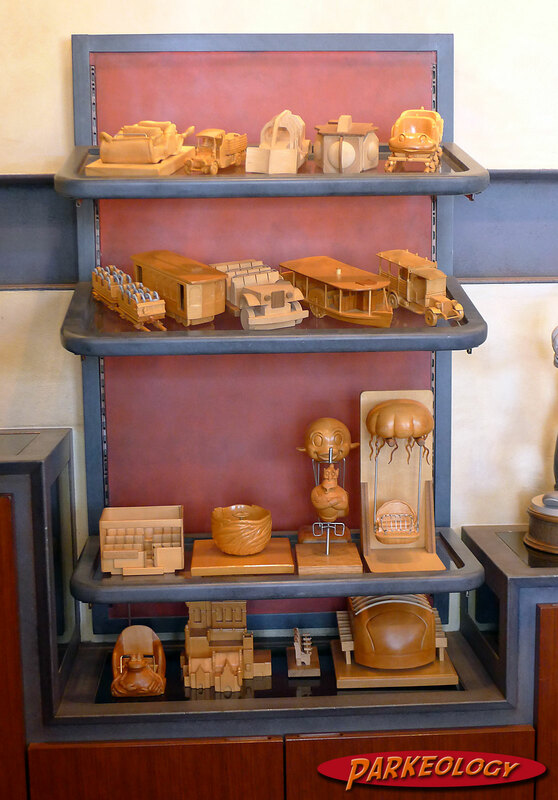 There are shelves that house the entire range of attractions and buildings. I think the folks working guest relations found it quite funny that some American guy wanted to see them and photograph them. At first they had to ask permission to do so (something that always happens at all levels in Japan). After they were allowed to show us the girls working the counter could not stop giggling… I guess to them it is just very commonplace so taking photos of them might be like taking photos of a fire extinguisher or something… they just never thought about doing so. Thoe lucky blind people… they get all the cool stuff! 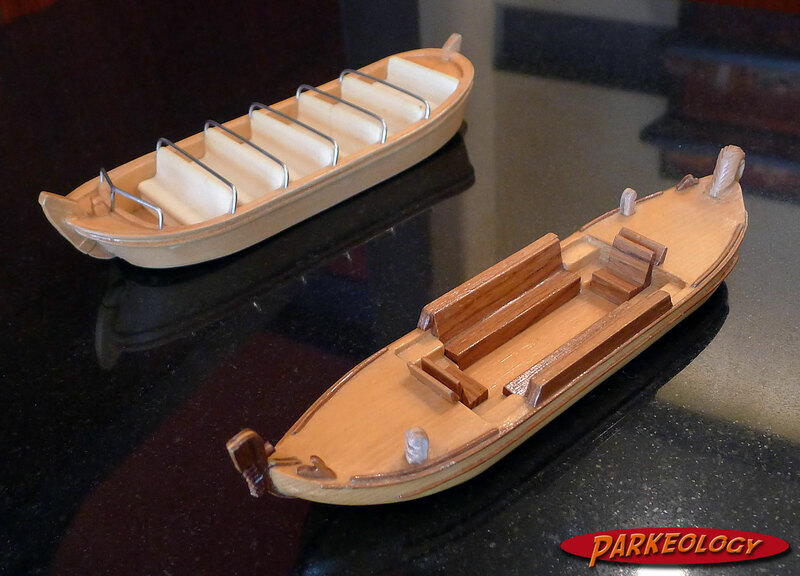 In addition to the models they have brail maps (which I believe the U.S. parks have as well) but they have other really nice offerings to those who could use them. 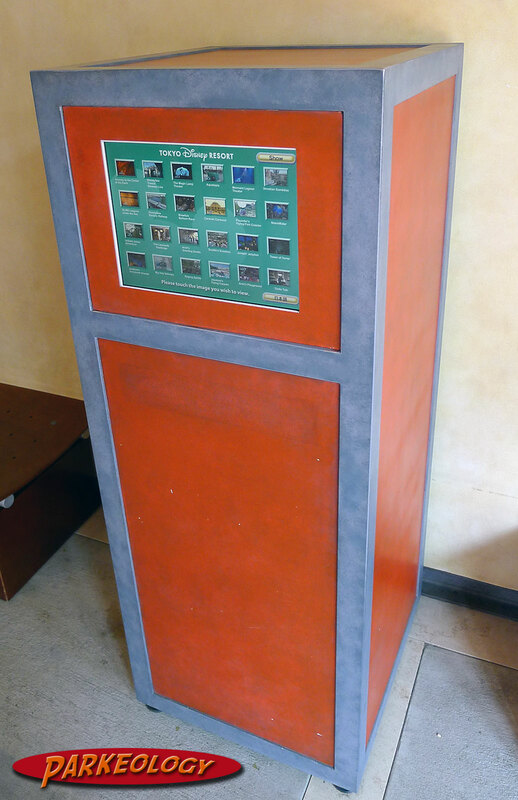 Not a fancy vending machine (though they certainly have those) but rather video previews of all the rides… can I get a copy to take home please? There is a video kiosk sitting unassumingly to the side of the guest relations area. 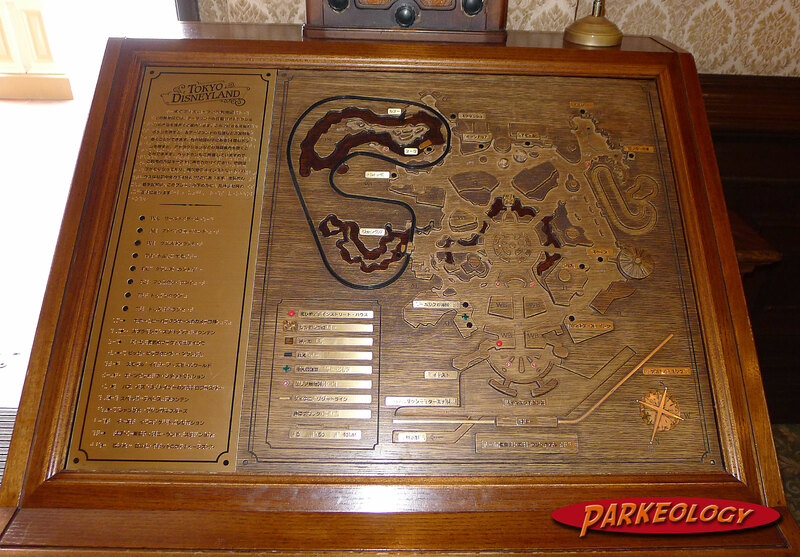 It has a touch screen display and visitors can select any attraction the park offers. After picking it a video preview of the attraction is played. 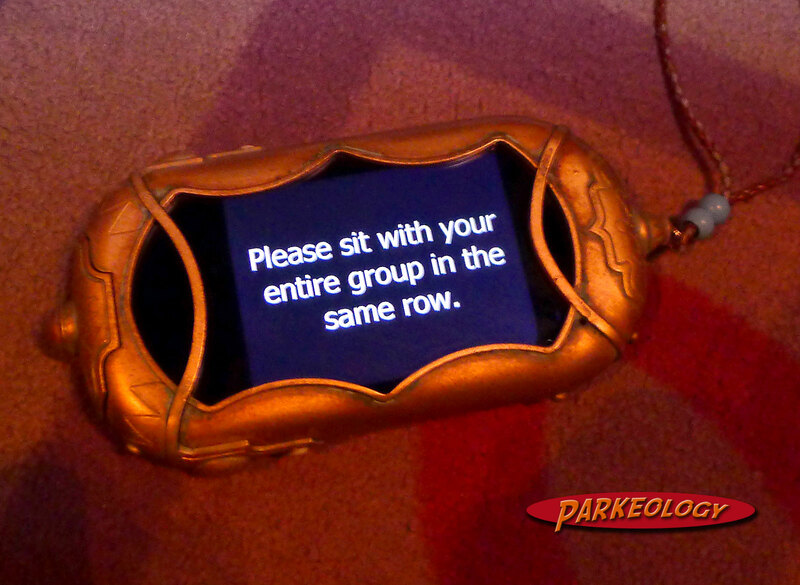 This helps people understand what the ride is about and gauge whether they would enjoy it or not. What a great idea! Sure, it does give away some surprises but if you are physically unsure if you can handle a ride this approach is so much more efficient than simply hearing a description… and frankly they are just fun to watch. 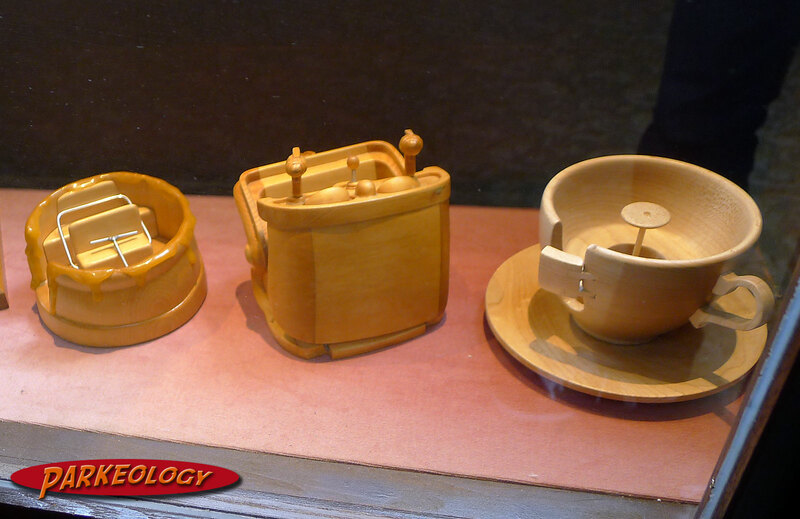 It’s cool how even utilitarian devices are themed… this one is for the Magic Lamp Theater. If you don’t speak Japanese or are deaf certain attactions have hand held devices that sync with the show. You are issued one of these and can follow along with the performance, even certain live action shows. OK, service dogs for those with hearing and sight issues… and um, those who require canine valentines? 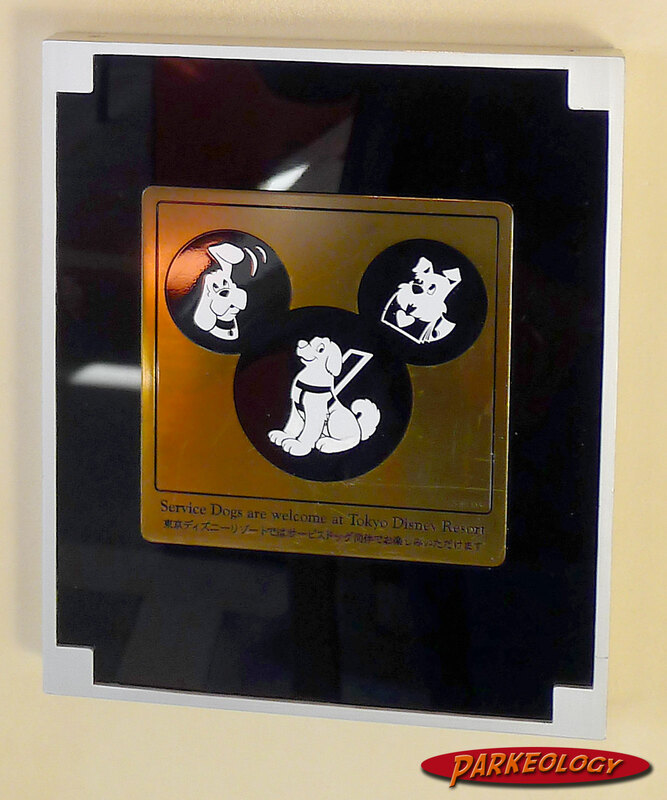 Whether you need them or simply appreciate them the fact that Disney has these measures available is really great. I’d love to see this type of thing in the U.S. just because it is that extra layer that makes things special… plus I want to buy them! Pingback: Is Japan Ready to Host the Paralympics? I’m fairly certain the unknown model on the “bottom right” is the ride cabin for Stormrider, the motion simulator ride in Port Discovery. It’s a bit like Star Tours on a bigger scale. Absolutely amazing. Even with my poor night vision these would be incredibly helpful for rides with dark loading areas. I can’t help but think, though, in my pessimistic way, that in the U.S. the models would constantly be filthy and broken from inattentive parents letting their kids use them as toys. 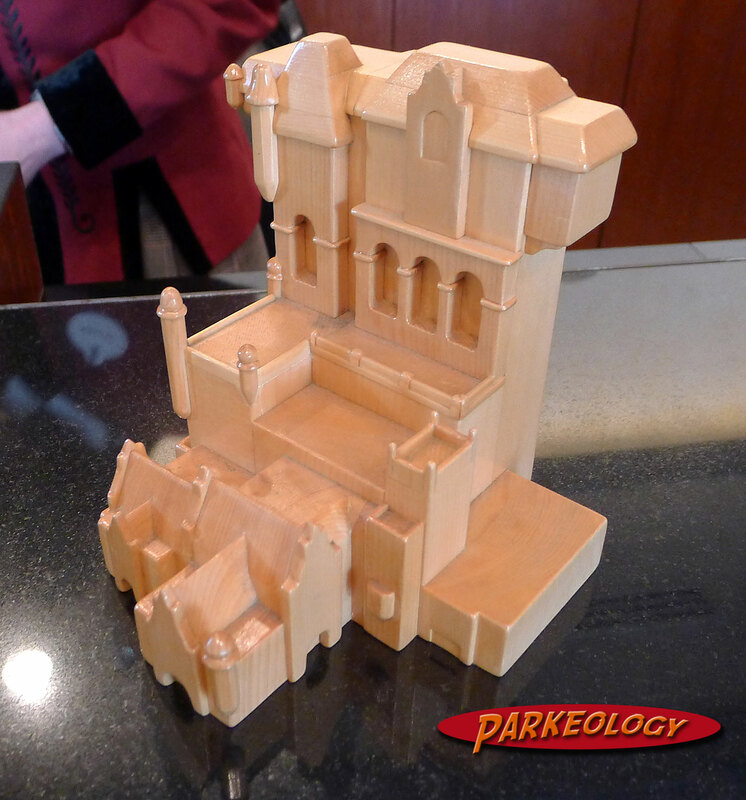 I’m disappointed that you did not consider how cool these would look displayed in the parkeology offices. You should have been throwing your obscene American money at those giggle girls at the counter and walked out with a few grocery bags of these things. We have expense accounts for a reason! They are beautiful though. I think the fact that they are NOT painted makes them look even better. Obviously the vision-impaired wouldn’t need the colors, but I like the polished wood look of them. They look like early-stage mock-ups of the attractions. 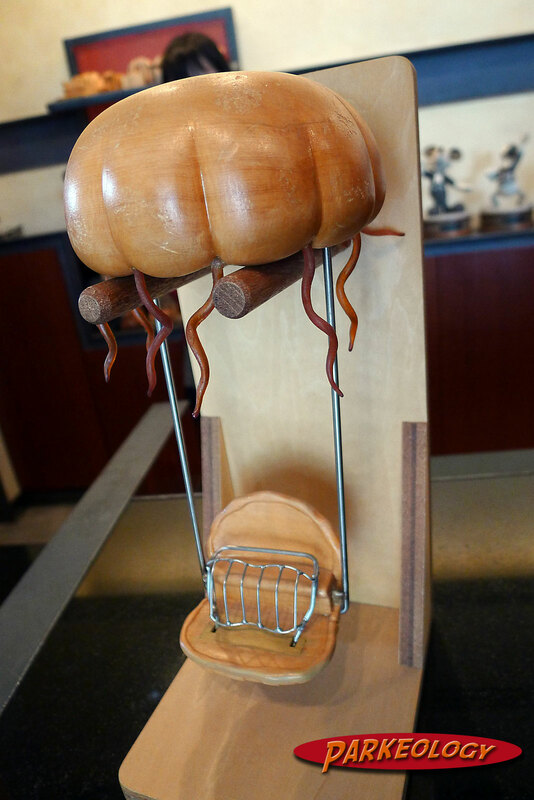 If I were a carpenter, I might try my hand at making a few. Well then you are in luck my friend. This year your birthday present will be a block if wood and a widdlin’ knife. I hope to see a perfect scale model of the Tree if Life on display in the central rotunda in no time. I think it’s fantastic.. and a real shame the US parks care so little about their guests that they do not implement a similar policy.. especially when it is already in place elsewhere. There is not a single excuse for it. I don’t mean it as an indictment of what Disney does in the US as much as a celebration of what they do in Japan. I think this is a broader cultural difference. For example the Japanese have great reverence for older people, much more that what is common here. In many ways Disney is just doing what may be expected of them in both countries. With that said it is a pretty simple and inexpensive thing to do and quite cool. I could see this helping autistic kids or others as well, not only the sight impaired.